Earlier this summer, JetBlue welcomed over 40 high school students from across the U.S. to New York’s JFK Airport to learn what it takes to pursue a career in the aviation industry. The event was part of the New York Student Aviation Expedition, an experiential learning trip organized by the Aviation Community Foundation to inspire students to launch their career paths. As one of the lead sponsors of the program, JetBlue provided air travele for participants from around the country, led a tour of the airline’s multi-faced operation at its home terminal – T5 at JFK – and hosted a panel during which crewmembers shared their professional journey and advice for students interested in pursuing their own career in the industry. Many students dream of becoming pilots, but are often deterred by economic or social barriers. 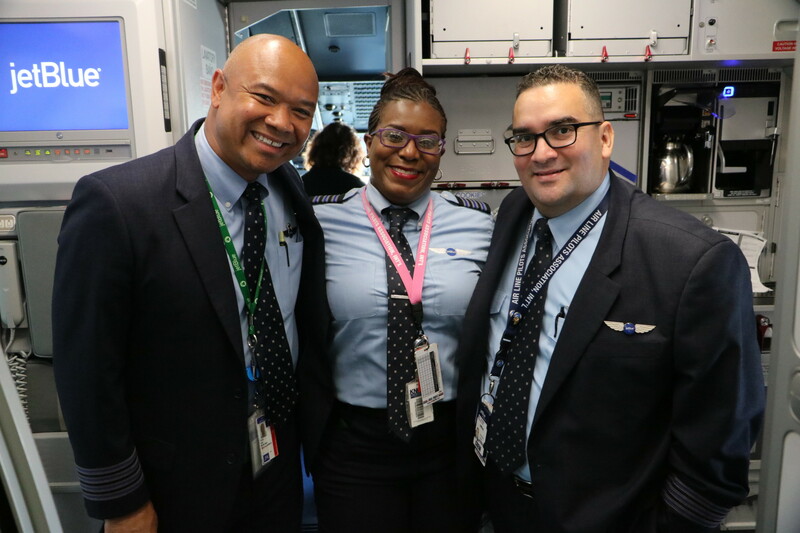 Partnerships like this allow us to bring our mission of inspiring humanity to life and fuel the talent pipeline into the next generation – especially with those who may not have otherwise had the opportunity, access or awareness of the breadth of careers within an airline. Whether it was spending a few minutes sitting in the cockpit of one of our A321 aircraft or going behind the scenes in our systems operation tower, these moments can leave a lasting mark on students. Not only does it help ignite their passions, but it shows them all of the opportunities in the industry and what they’ll need to do to reach them. We want make the industry more accessible to candidates with diverse backgrounds and experiences. However, to be something different, students need to see something different. Our hope is that by enabling students to learn about our airline’s operation through engaging experiences and meaningful connections, they realize anything is possible.